The Mediterranean Sea. Offering three continents and over 22 countries to visit, the Mediterranean is truly a boater’s paradise Spain, France, Monte Carlo, Italy, Greece, Morocco, Egypt, Turkey — with so many destinations to sail to, it can take a lifetime to explore them all. Almost directly south of Barcelona, Majorca, or Mallorca, is part of the Balearic Islands and governed by Spain. Its capital, Palma, was founded as a Roman camp, and the island is an incredibly popular tourist destination. The climate here is perfect for sailing — warm summers and mild winters. 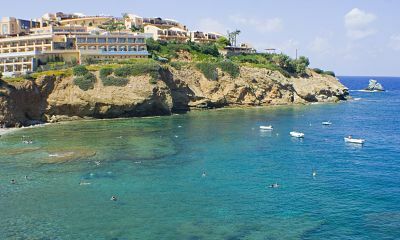 Snorkeling and diving are popular around Mallorca, with over a dozen different locations, such as Neptune's Temple, Alcanada, The Point, Pebbledash, and The Bridge. The island of a World Heritage UNESCO site, Ibiza has a bright nightlife. Like Majorca, Ibiza is part of the Balearic Islands and lies 79 kilometers off the coast of Valencia. This beautiful island provides plenty of day trip options. Sail from Spain or Majorca to see the town as well as the highest point, Sa Talaiassa which rises 475 meters into the sky. If the beaches are more your calling, Ibiza’s white sand and turquoise waters are always great for an afternoon of soaking up the sun, and make sure to catch some of the much-famed live music or DJs. Mostly mountainous terrain, the French territory of Corsica lies in the crook formed by Italy and France, As such, it is easy to depart from major ports based at either country to reach Corsica in under a day, though you may want to take a little longer to sail from one of these countries, enjoying the beautiful sun and warm weather. Anchor near Porto Pollo (consistently ranked one of the best beaches in France) or the Natural Marine Reserve at Bonifacio; the snorkeling and diving in these areas is not to be missed. Sardinia is one of two major islands in the Mediterranean that offers Italian heritage. A very short sail from Corsica through the Strait of Bonifacio, this beautiful location provides unspoiled villages and towns that are perfect for a day trip on shore. Make sure to spend time on the island, visiting ancient cities and ruins. With around 40 harbors around the coastline and countless bays to kayak, Sardinia is sure to add enjoyment to your holiday. Sicily is the largest island in all of the Mediterranean, and lies at the toe of Italy’s “boot” shape. Travel around the island and take in the beautiful Italian architecture from the water. Make sure to spend time inland trying out famous Sicilian food, and hiking around Etna and Stromboli, Sicilian volcanoes. Dubrovnik is situated at the southern tip of Croatia, a country with hundreds of islands that have split off from the mainland. Dubrovnik is an Adriatic Sea port city on the mainland of the country. A wall surrounds much of Dubrovnik, and the city is considered one of the best preserved, walled medieval cities in Europe. The red-tiled roofs of the buildings and rocky terrain provide a beautiful backdrop for any boater. Crete is Greece’s largest island and is also the southern-most. Not only does the island offer several nearby diving sites, but it also has its own unique cultural traits and history that will amaze you. Crete is surrounded by smaller islands that you can boat to, but make sure to know your geography — some islands are environmentally protected and are not open to visitors. Settled amongst Turkey’s many islands, Bodrum is a port city on the western-most part of the country. 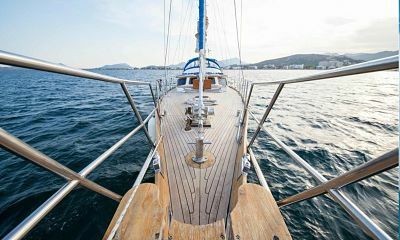 Mild winters and a consistently sunny climate make Bodrum a great boating destination. The beautiful sandy beaches and white-washed buildings provide a perfect atmosphere for a relaxed day in the sun. Cyprus is an island country south of Turkey and west of Lebanon. Beautiful white beaches, plenty of nightlife, and at least one large port await your boat. Some of the most popular activities include hiking, so schedule time to disembark and travel to historic sites on the island. Morocco holds a unique position boasting both the Mediterranean Sea and Atlantic Ocean. 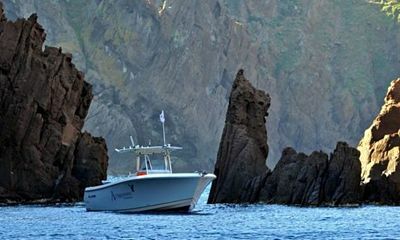 From caves along the northern shore to Atlantic fishing destinations, there is an endless amount of activities. You can sail from Spain and its islands to Morocco, as the northern- and western-most country of Africa. 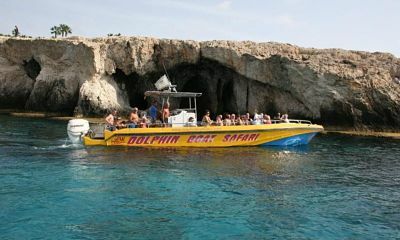 Sail along the coastline of the Mediterranean, diving in both deep and shallow water caves. The Mediterranean Sea offers a myriad of boating opportunities, gorgeous coastlines, beautiful waters, and exciting cultures and histories. An entire lifetime could be spent sailing from port to port, but these locales are some of the most popular.